Chassis Chatter… The No. 88 ThorSport Racing team will utilize chassis No. 54 for Friday’s Toyota Tundra 250 at Kansas Speedway. This is a brand new chassis from the ThorSport Racing stables, built new for the 2016 NASCAR Camping World Truck Series (NCWTS) season. Kansas Speedway Stats… Among active series drivers, Crafton is the only NASCAR Camping World Truck Series (NCWTS) driver to compete in all 15 events at the 1.5-mile track. The two-time champion was the first repeat Truck Series winner, finding victory lane in 2013 and 2015, and he is tied with Johnny Sauter for the most top-five finishes (4), has the most top-10 finishes (7), has completed more laps (2406), and has the most lead lap finishes (9). In The Loop – Kansas… According to NASCAR’s Loop Data statistics, Crafton ranks first in Laps in the Top-15 (1259) at Kansas Speedway. Kansas Rewind… Fuel mileage was the buzz in the series’ last stop at Kansas Speedway. Crafton, who qualified second, was running fourth with five laps to go in the 167-lap event when the leaders began pulling to the apron with empty fuel cells. One by one, the top-three drivers slowed on the race track and Crafton was able to cruise to his seventh career victory with only drops left in his tank. Martinsville Review… Crafton started 10th, ran as high as second, but pit strategy and a lack of green-flag action in the race’s final 50 laps hindered the two-time Martinsville Speedway winner to a seventh place finish in the race extended 255-lap event. Major Milestone…The Tulare, California native extended the NCWTS record for consecutive starts to 364 following the Alpha Energy Solutions 250 at Martinsville Speedway, passing four-time NCWTS champion Ron Hornaday, Jr with 360 starts in the 2015 NCWTS season finale at Homestead-Miami (Fla.) Speedway. 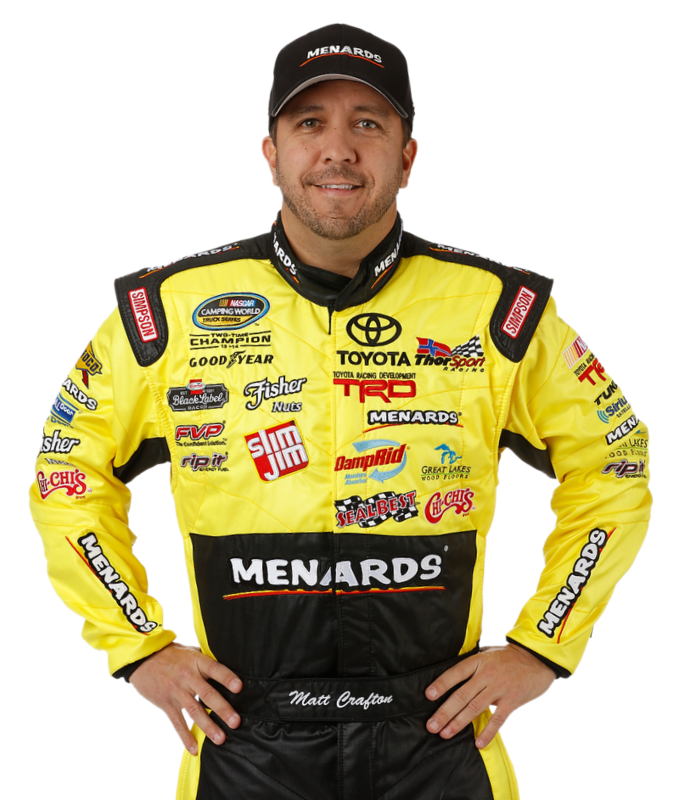 Crafton made his series debut at Auto Club Speedway in November 2000, and enters his 16th full-time season in the NCWTS, and his 15th full-time season with ThorSport Racing in 2016.